LCD screen computer system, 48 sets memory function for mold date. Circular cutter feed/withdraw and angle in position by servo automatic. One spindle approved set up 16 modes cutting in the meantime. Spindle and cutter rotate set up by touch panel and interchangeable rotary direction. The wide neck sealing motion employs hydraulically operated direct pressure drive. 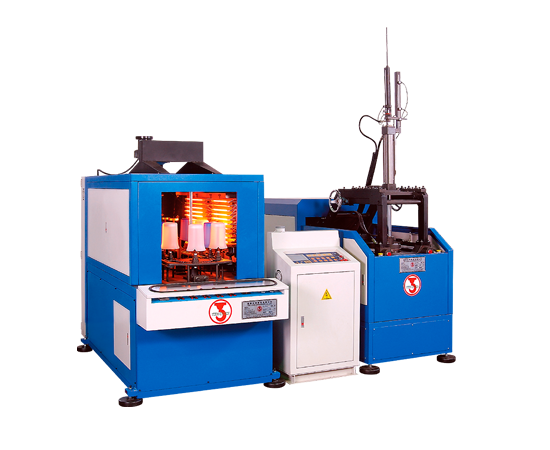 Preform heater outlet can be adjusted in vertical and horizontal direction to suit all types and sizes of bottle. Convenient mold open and mold change. Specifications are subject to change without notice for design improvement. 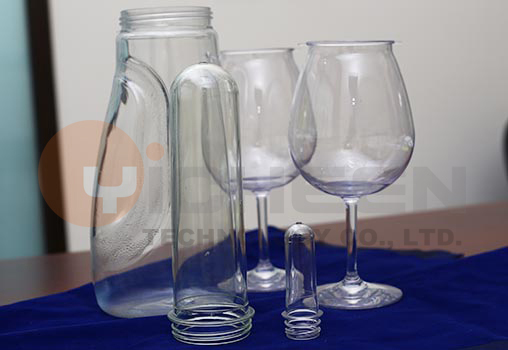 The specification can be designed by customers demand. Copyright © YICHEEN TECHNOLOGY CO., LTD. All Rights Reserved.